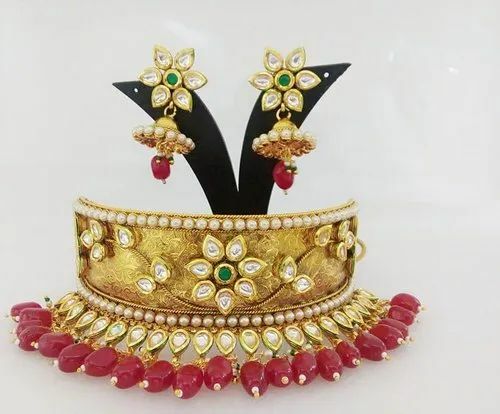 Incepted in the year 2014, Tez Shree Enterprises is an eminent entity indulged in manufacturing, exporting and wholesaling a huge compilation of Ladies Bangles, Ladies Earrings, Pendant Set, Ladies Necklace Set, Ladies Bracelets, Ladies Tikka, Ladies Payal, Ladies Ring, Ladies Hathfull and Ladies Matha Patti etc. Manufactured making use of supreme in class material and progressive tools and technology, these are in conformism with the norms and guidelines defined by the market. Along with this, these are tested on a set of norms prior final delivery of the order.